There are two reasons for Death Cab For Cutie fans to be excited this year: the first is that Chris Walla, guitarist for Death Cab (and sometime-producer for The Decemberists, Tegan & Sara and more) is releasing his solo album, “Field Manual” on January 29; and, secondly, Death Cab itself will be releasing their follow up to the 2005 mainstream breakthrough, “Plans ”, by late May. The good news? We have sneak peek mp3’s for both of them. Sing Again is the first released track off of Walla’s forthcoming album, “Field Manual ”. The song, upon first listen, appears to be a light, breezy affair… but after a few seconds, it becomes clear that Walla has filled the two and a half minute pop song with sophisticated flourishes and pointed lyrics. All in all, the song is very much what you would expect from Walla, if you were at all familiar with his work as a musician or producer; but that doesn’t mean it’s not a wonderful track. It’s been a long time coming, and even though the US customs department seemed to try it’s best to stop the album coming out on time, it drops into stores on January 29th. Ben Gibbard has been performing Casino Blues at his solo gigs for some time now, and it’s finally been confirmed that the song will be appearing on the as-yet-unnamed follow-up to Death Cab’s last album, “Plans”. One song, “I Will Possess Your Heart”, is even purported to be a nine minute jam. Whatever happens, the album promises to be interesting. Here’s a live performance of Ben performing “Casino Blues”. 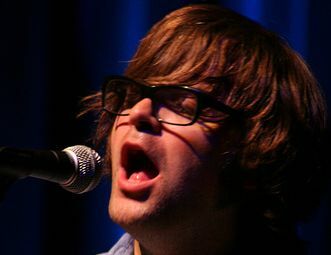 If this song is anything to go by, the album could see Death Cab producing more upbeat, uptempo songs than in the past. By late May, we should be able to see if that’s a good thing or not. Previous Post Time for a Tuesday Trio.